For anyone with their eye on the entrepreneurial space landscape, the nano- and microsatellite sector likely represents something of a mainstay of today’s commercial space industry. There has never before been greater interest or investment in the development of small satellites, dedicated small launch systems, and associated infrastructure. All of this activity is manifested in the great volume of artificial satellites which now orbit the Earth. As plans for new, larger, commercial satellite constellations come online, this number will only continue to grow. As these in-space assets accumulate, the problem of space debris—rocket fragments, defunct satellites, and other derelict objects in orbit—will become increasingly more pronounced. 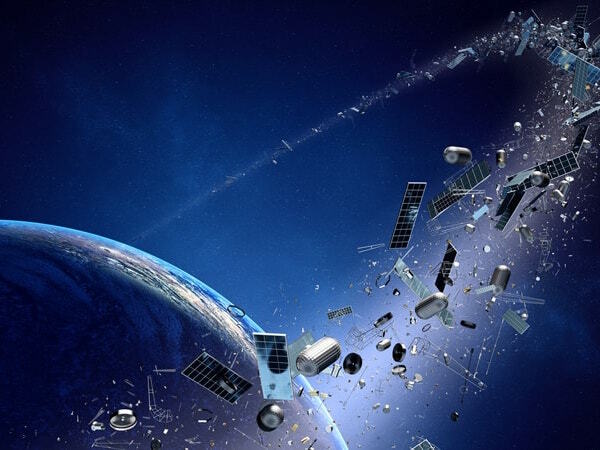 While a certain degree of functional clutter is necessary to the business goals of private satellite operators, there is general consensus within the smallsat industry that steps must be taken to minimize the risk of major collisions and structural damage to orbiting assets. This type of foresight and collaboration bodes well for the nascent smallsat sector, as responsible industry actors will help ensure regulation that facilitates healthy business operations and growth. Space debris has long posed a danger to spacecraft—and as activity in low-Earth orbit grows, the situation becomes more apparent. While it has been a subject of increased scrutiny in recent years, the problem of artificial space debris is not a recent development. For nearly as long as humans have been launching rockets to orbit, there has been concern over the fate of these expended technologies. The North American Aerospace Defence Command (NORAD) began cataloging the number of objects in orbit immediately after Russia’s launch of Soyuz 1 in 1957 (Hall 2). Within five years, following the explosion of the US Ablestar launch vehicle in low-Earth orbit, the number of satellites (both active and defunct) and rocket fragments around our planet had surged to over 350. Fast-forward a handful of decades, and the Earth is now surrounded by tens of thousands of sizeable chunks of debris orbiting at speeds upwards of 17,000 miles per hour. Add to these larger pieces an estimated hundreds of thousands of sub-centimeter-sized artificial particles, and you’ve got a recipe for potential disaster—for while these small particles may not seem imposing, they can present a serious threat to functional spacecraft. Even a fleck of metal less than a millimeter across can chip the windows of the International Space Station. Spacecraft hit by a piece of debris larger than 10 centimeters will undergo what the European Space Agency calls a “catastrophic break-up;” promptly disintegrating into hundreds of metallic pieces and adding its fragmented mass to the cloud of debris. Dust, to dangerous dust. Experts have determined that the volume of debris in orbit around Earth is now growing at an exponential rate. For private companies and operators with space-bound assets, this is a sobering fact with major implications for their business interests. Damage to private satellites can seriously hamper operations in the short term, and long-term visions of private space stations must invariably account for near-countless orbiting projectiles. 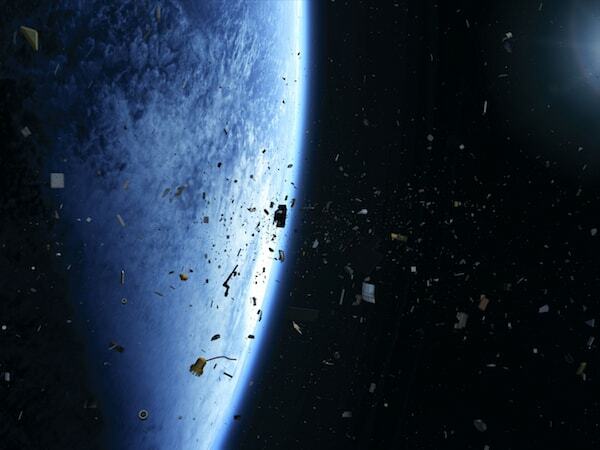 Small satellites are potential orbital debris, but they’re sitting ducks themselves. The problem of space debris is particularly pressing for the small satellite industry. There are a couple of reasons why commercial smallsat operators should be concerned: Firstly, nano- and microsatellites are generally less agile in orbit than their much-larger counterparts, since they are usually equipped with under-powered propulsion systems. This means that they are less able to maneuver out of harm’s way in the event of an impending debris collision. Secondly, these small satellites are especially likely to become space debris, due to the unprecedented volume of units in orbit—meaning that those hoping to launch smallsats must be particularly mindful of the long-term impact of their technologies. Space Angels-funded Accion Systems is pioneering a proprietary satellite propulsion system to help assets more efficiently maneuver on orbit. Accion’s unique, scalable electric ion engines will provide small satellites with advanced propulsion, enabling them to better avoid detectable, trackable space debris. Fortunately, tracking space debris has remained a priority for government agencies since NORAD’s Space Object Catalogue was established in 1957. Today, the US Department of Defense’s Space Surveillance Network cooperates with NASA in order to monitor more than 20,000 of the largest fragments of space junk. But what about the myriad untrackable spacecraft fragments—the ones too small to be monitored by government agencies, but large enough to cause irreparable structural damage to orbiting assets? Entrepreneurial space companies are stepping in to offer novel solutions to this pressing problem. California-based startup LeoLabs has made it their mission to support the growing economy in low-Earth orbit by providing sophisticated, highly-precise debris tracking services. LeoLabs’ network of phased-array radars is able to monitor 250,000 pieces of previously-untracked debris, and makes its raw data to customers through an API—a major plus, since customers can integrate the information into their own technologies in order to avoid collisions. Beyond new commercial tracking and mapping systems, there are efforts to physically remove debris from orbit. Both the Japanese Aerospace Exploration Agency (JAXA) and the European Space Agency (ESA) have working on methods of de-orbiting derelicts. There are also private companies looking to build their business on active space debris removal. For example, Japanese startup Astroscale has envisioned one potential solution to the problem: By using specialized microsatellites to track sub-millimeter debris fragments, and developing an “End of Life” satellite disposal service, Astroscale aims to meaningfully contribute to the eradication of extant space debris. In fact, there are dozens of companies with technical solutions to remove space debris—but without regulation as a forcing function, there isn’t yet much of a market for these solutions. The smallsat industry is self-regulating in order to mitigate the accumulation of orbital debris. While plans to monitor, evade, and remove space debris are undoubtedly a step in the right direction, the growing small satellite industry has a responsibility to minimize the potential for negative impact of their activities. In the eyes of some within the private space industry, failure to prepare for the possibility of increased collisions may lead to reactionary government regulations after the fact—a “top-down” decree which could effectively stifle the ambitions and progress of the entrepreneurial space movement (and the smallsat industry in particular). For its part, the government has been proactive in trying to limit the long-term accumulation of space debris. In the mid-’90s, NASA enacted Safety Standard 1740.14—otherwise known as the “25-year rule.” Under these guidelines, anything launched to orbit after 1995 must have a mechanism to de-orbit itself within 25 years. It’s worth noting that most small satellites come down on their own well before this deadline (due to atmospheric drag in low-Earth orbit). For instance, the “Dove” CubeSats launched from the ISS by Space Angels-funded Planet are only in orbit for about nine months before they naturally de-orbit. 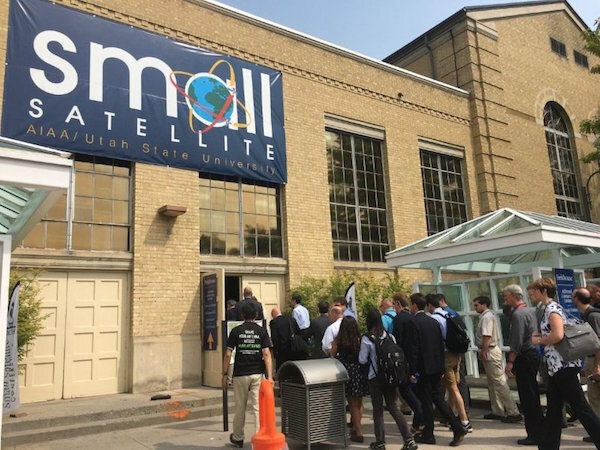 In early August of this year, the city of Logan, Utah played host to the 31st Annual Conference on Small Satellites. At the conference, industry leaders proposed a “bottom-up” framework which would enable a “coherent, collaborative, and community-wide” approach to the problem of orbital debris (Brown et al. 14). By following the model of a self-regulatory organization(SRO), industry executives, researchers, and government partners could work proactively to ensure that the growing smallsat industry adheres to safety initiatives and mission lifespans—without the cumbersome (and often ill-informed) oversight frequently seen in government mandates. Called the Smallsat Space Traffic Safety Consortium, or SSSC, this proposed organization would enable the entrepreneurial satellite industry to continue to flourish and evolve—while simultaneously assuring responsible growth. Orbital debris is the price paid for space-based technology and growth—but we must not test the limits of responsible stewardship. “With great power comes great responsibility.” This sentiment, first described in articles from the French National Convention in 1793 (and later popularized by Stan Lee’s Spider-man) holds true for today’s entrepreneurial space age. The unprecedented potential of modern space companies—and the democratizing effect of low-cost nano- and microsatellites—will undoubtedly impact the cultural ideals and economic activities of generations yet to come. This progress must not be tempered with temerity. In order to create sustainable growth within the smallsat landscape, there will need to be careful execution and strict adherence to established best practices. For many aspects of the entrepreneurial space industry, the best way to establish these practices will be to draw upon the expertise and insight of the industry’s top minds. A collaborative approach to self-regulation may be precisely what the satellite industry needs order to assure continued progress. Loretta Hall, “The History of Space Debris” (November 6, 2014). Space Traffic Management Conference. Paper 19. Accessible here. Owen Brown, Carlos Niederstrasser, and Glenn Peterson, “Space Traffic Safety: A New Self-Governance Approach for the Smallsat Community” (August 2017). 31st Annual Conference on Small Satellites. Accessible here.